For the summer’s lab, the artist Mustapha Akrim attends a residency at Le Cube that comes as a creative parenthesis of artistic research and reflection. Born in 1981 at Salé, Mustapha Akrim has graduated from the National Institute of Fine Arts in Tetouan. His installations question citizenship in its relation to rights and work, and that, in order to elaborate a different reading of social history, politics and economics. The summer’s lab is a platform for work as it invites artists to elaborate new research and to open and access new theoretic and aesthetic horizons with no conditioning. Hence, Mustapha Akrim wishes to use this time in the development of a new formal research on the context in which he lives and grows. 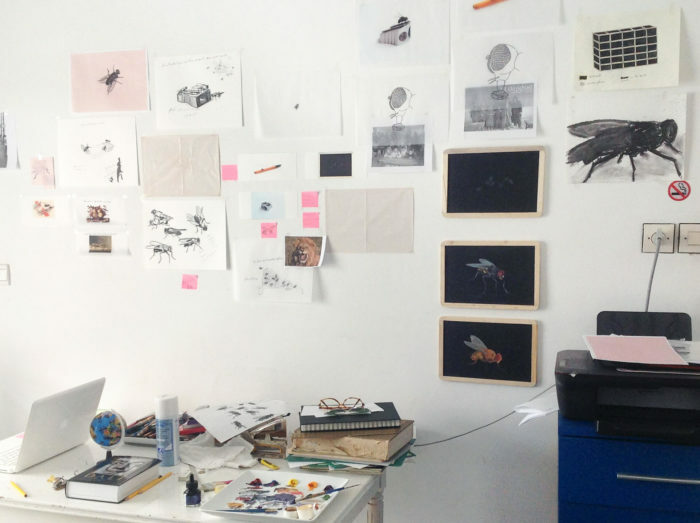 The works developed by the artist are presented in an open studio at Le Cube – independent art room.